The cluster of flowers inspired me to use this cut file as a starting point for my layout. 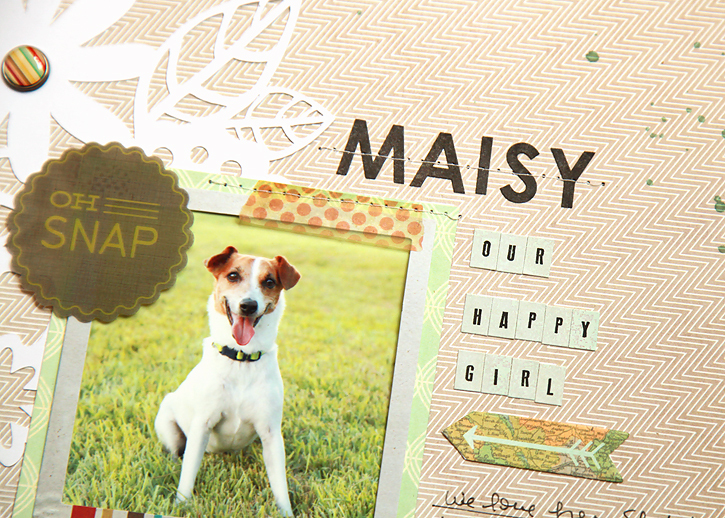 Since I was going with a little bit of a girlie look, I decided to make a layout with a recent photo of our dog, Maisy - the only other girl in my house! I was finally able to capture a great photo of our busy little dog with Mason's help... he held a treat right above the camera. This is a great layout! 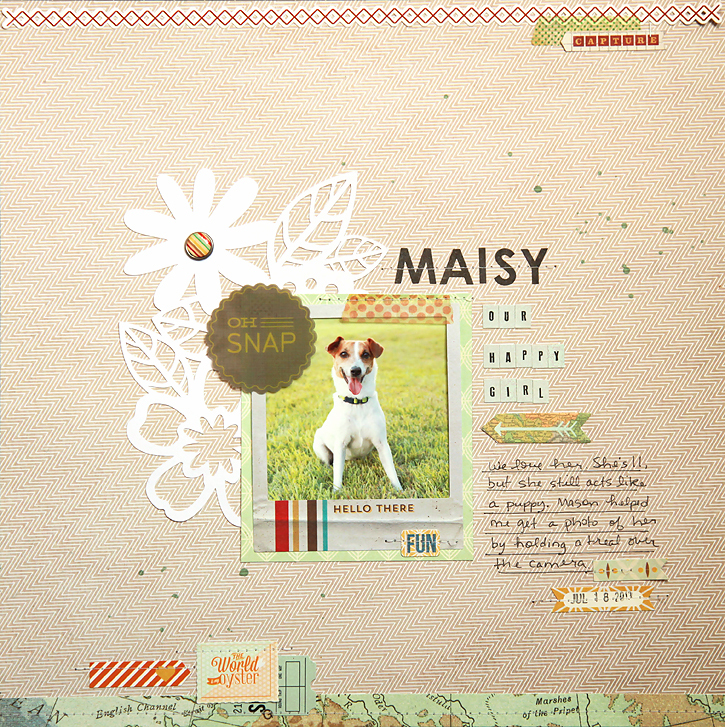 I would have never noticed that cut file in the shop before but I love it on your layout!